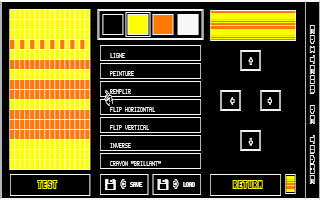 Synthetic Arts 1.1 is a pixel painter tool working in ST medium resolution only (640x200x4). It also works on Falcon 030 or TT in medium resolution. 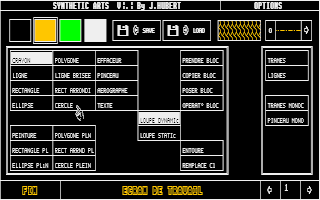 It has been developped in GFA Basic 3 in 1989.